The Mills Law Firm, LLC stands apart because of the experience of our attorneys, the quality and integrity of our practice, and our willingness to go to trial rather than accept inadequate compensation for a client through a quick settlement. Based in New Haven, Connecticut, our firm offers quality representation to individuals who are injured and to families who have lost a loved one due to a personal injury accident or negligence. We seek full and fair compensation for clients from Bridgeport, Stamford, Hartford, Milford, Hartford, Waterbury, and throughout New Haven, Fairfield, as well as all of the shoreline towns of eastern Connecticut. John Mills has practiced law in Connecticut since 1990. He was formerly a partner in a Bridgeport firm for 13 years, largely focused on insurance defense. As a result, he has extensive trial experience, and has taken more than 50 cases to jury verdict. He also has appellate experience, including cases heard by the Connecticut Appellate Court, the Connecticut Supreme Court, and the 2 nd Circuit Court of Appeals. Mr. Mills belongs to the Connecticut Defense Lawyers Association and the Connecticut Trial Lawyers Association (plaintiffs' bar), and looks at each case from all perspectives. We try many cases, and we receive many referrals from other attorneys when they cannot reach an acceptable settlement. While the majority of our cases are settled out of court, we provide thorough investigation of accidents and assemble the best experts to make the case on our clients'behalf. This result is the maximum compensation to fully cover losses in a personal injury or wrongful death. Contact the New Haven personal injury lawyers of the Law Offices of John W. Mills today to arrange a free initial consultation. We offer a free consultation and responsive service to all clients. Evening and weekend appointments are available, and we can make "house calls" if you cannot travel to us. We also have Spanish interpreters on staff. We practice in every court in Connecticut, and represent clients throughout the state. 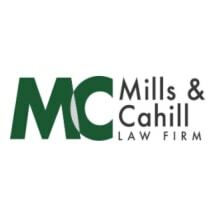 The Mills Law Firm, LLC provides personal injury representation to clients in New Haven County, Fairfield County, Litchfield County, New London County and Hartford County, Connecticut. Based in New Haven, we represent victims and their families in Bridgeport, Stamford, Hartford, Waterbury, East Haven, Fairfield, Wallingford, Hamden, North Haven, Milford, Madison, Guilford, and Old Lyme.